Ready or not, spring break is around the corner. But there’s still plenty of time to plan a fun family vacation. California, Puerto Rico and Nassau are sunny destinations known for their glorious beaches, but you’ll find adventures beyond their golden shores too. Mammoth Mountain boasts the best spring skiing in the west, often staying open until July 4. By April, rates drop and outdoor temperatures rise, inviting lightweight clothing. Skiing is so much more fun when you’re not dressed in heavy attire. Slather on the sunscreen to ski or ride in the morning and then hike, bike or fish in the afternoon. Nearby June Lake is beautiful and a hot spot for fishing, hiking, picnics and camping. If staying in June Lake, the Double Eagle Resort & Spa offers many family amenities. You don’t need a passport to visit this Caribbean port city, which is part of U.S. territory. A year-round sunny destination steeped in history, San Juan has blue cobblestone streets, cozy plazas and tropical beaches that are hard to leave. 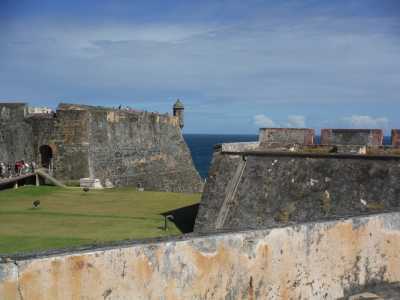 But exploring Old San Juan with its massive forts is exciting too. The 16th-century El Morro and 18th-century Castillo de San Cristobal forts were built to protect Puerto Rico from invading countries. Plan to spend a few hours scrambling through tunnels, dungeons, barracks and outposts. A trip highlight for us was hiking down to La Mina Falls in the El Yunque Rainforest and taking a dip in the refreshing swimming hole. The coqui (tiny tree frogs) are easy to hear, but hard to spot. Puerto Rican cuisine is delicious. We went on a culinary tour with Spoon Food Tours and sampled traditional mofongo (plantain-based dishes), empanadillas plus bacalaitos (fried codfish fritters), tostones (fried plantain slices) and fried pork. And, since Puerto Rico is famous for its rum, we indulged in a few tasty cocktails too. San Juan Marriott Resort & Stellaris Casino. Just five miles from the airport and 15 minutes by car to San Juan, the laid-back luxury resort is located on pristine Condado Beach in a residential neighborhood. The hotel has a two-level pool with a water slide and shallow area for kids. Beach amenities include chairs and umbrellas. Bike rentals are free for two hours ($7.50 per hour thereafter). A park, shops and restaurants are steps from the hotel. There’s a bus stop around the corner from the hotel (75 cents one way per person). Taxis are about $15 one way. In Old San Juan, free shuttles travel about town. Escape Family Time Package (up to three kids): rates for a city view start at $284/night; kids 12 and younger eat free at La Vista Latin Grill. Half Day Old San Juan or El Yunque Rainforest tours: $309, lodging and tour for two people (Jan. – April). $35, tour for kids under 12. Built around a 141-acre waterpark and home to the largest open-air marine habitat in the world, the Atlantis Resort is modeled after the legendary city of Atlantis. We had a lot of fun zipping down water slides, splashing through a mile-long river ride with rapids, and escaping the crowds on white sand beaches. But there’s much more to this resort than awesome pools and beaches. There’s a marina, numerous restaurants, clubs and aquariums. 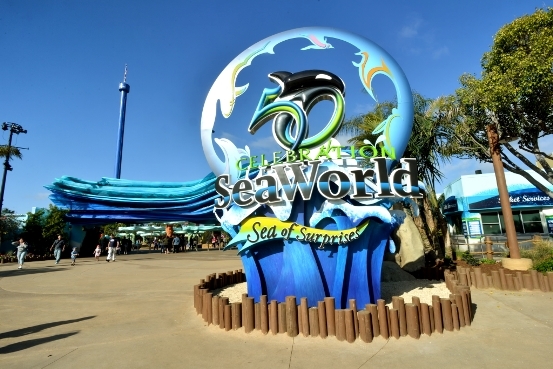 The Dig/Ruins Lagoon houses more than 20,000 marine animals. 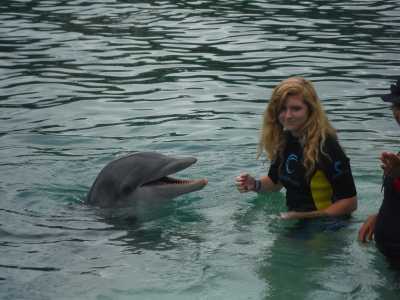 We got in the water at Dolphin Cay to gently interact with bottlenose dolphins and pucker up for a wet kiss. On a behind-the-scenes tour of the sea lions habitat we learned about these friendly creatures. The resort also has outstanding programs for kids: the Atlantis Kids Adventures program entertains kids ages 3 – 12 with activities from morning to evening. CRUSH is an upscale teen nightclub with a dance floor, live DJ, cutting-edge gaming, internet lounges and a non-alcoholic bar for ages 13 – 17. One of our favorite restaurants was Virgil’s Real Barbecue, which serves Cajun and Creole classics as well as authentic southern-style pork, brisket, ribs and chicken. The mac & cheese and freshly squeezed lemonade aren’t just for kids. The Reef Atlantis, one of several vacation towers, is most conducive for families. Situated on Paradise Beach with water views from all rooms, The Reef has kitchens or kitchenettes and spacious living areas. 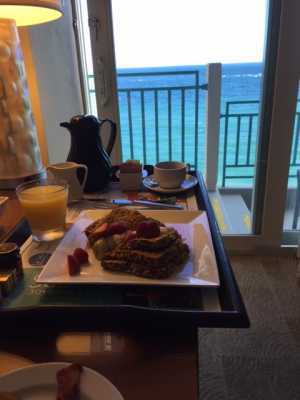 The resort is connected by two bridges to Nassau, the capital of the Bahamas and definitely worth a visit. At Graycliff Chocolatier, we took a tour and a – messy but yummy – chocolate-making class. 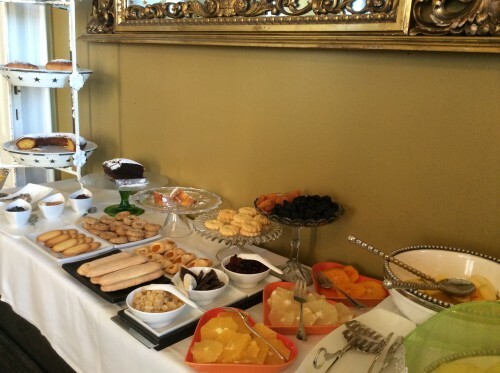 Afterwards, we enjoyed a gourmet meal at Graycliff Restaurant, housed in an elegant colonial mansion. It’s the Caribbean’s first five-star restaurant, but it’s kid-friendly too. Spring into Savings: Save 50 percent off nightly rates, kids under 12 eat breakfast and dinner free with paid adult meal. Book by Feb. 3, 2015 for March and April travel.